Tracy McKnight has earned a place in the entertainment industry as a highly sought after music supervisor and creative executive. With roles as former Head of Film Music for Lionsgate, prolific music supervisor, record producer, and label co-founder, her kinetic enthusiasm pushes her to find new ways of sharing her passions with an ever-growing audience seeking quality projects and music. Ms. McKnight’s current roster includes the highly anticipated Bad Santa 2, starring Billy Bob Thornton, Trudie Styler’s directorial debut, Freak Show, Kitty Green’s documentary Casting JonBenet and Netflix’s Romantic comedy When We first Met. Her TV slate includes WGN’s hit TV series The Outsiders. Recent highlights: Cary Fukunaga’s Beasts Of No Nation and Ava DuVernay’s critically acclaimed Selma. In her post at Lionsgate, Ms. McKnight oversaw projects including The Hunger Games: Catching Fire and the franchise’s first installment The Hunger Games– a record breaking worldwide box office phenomenon. The Hunger Games: District 12 & Beyond soundtrack album debuted at #1 on Billboard’s Top 200 chart and was the top selling soundtrack for 2012. Both soundtrack albums garnered Golden Globe and Grammy nominations respectively. She was also responsible for soundtracks for: Now You See Me, Red 2, A Madea Christmas, Warrior, along with director John Singleton’s Abduction, and The Next Three Days by Academy® Award winning director Paul Haggis, and the hit action film The Expendables. Before her tenure at Lionsgate, Ms. McKnight co-founded Commotion Records with former Sony Records head Walter Yetnikoff. Commotion Records released an impressive slate including the acclaimed film soundtracks from Hotel Rwanda, The Cooler, Dedication, Mysterious Skin, and My Architect. Ms. McKnight also previously headed two independent film companies’ music departments – at Good Machine, founded by renowned producers James Schamus and Ted Hope, and at Cary Woods’ Independent Pictures. Ms. McKnight has devoted much of her time as an advisor, speaker, and consultant to the film music industry at large. She continues to be an ally of the Sundance Institute/Festival where she has participated for the past 14 years as an advisor for their Producers Conference and Composers Lab in addition to co-programming the Festival’s yearly “Celebration of Music in Film” concert. She works with the Los Angeles Film Festival on their Grammy Museum Music Series and has advised in the past for the Independent Film Project (IFP) and served on the host committee for the 2007 Gotham Awards. The media has taken notice of Ms. McKnight’s many achievements. MovieMaker Magazine spotlighted Ms. McKnight as one of ‘2006’s 25 Coolest People To Know’ in independent film; she was featured in the acclaimed PBS series Roadtrip Nation, and has been singled out for her accomplishments by Variety, The Hollywood Reporter, Screen International, Detour, ASCAP, and BMI among many others. 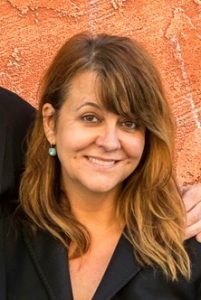 Tracy McKnight is currently the Vice President of the Guild of Music Supervisors and on the board of Women In Film.